Tscharner C. DeGraffenreid was born in 1799. He was the son of John DeGraffenreid. Tscharner C. DeGraffenreid died in 1880. Married Name Her married name was Hale. Elizabeth B. DeGraffenreid married (?) Hale. Elizabeth B. DeGraffenreid was born in 1834. She was the daughter of Tscharner C. DeGraffenreid. Elizabeth B. DeGraffenreid died in 1907. (?) Hale married Elizabeth B. DeGraffenreid, daughter of Tscharner C. DeGraffenreid. Married Name Her married name was Wright. Elizabeth D. Hale married (?) Wright. Elizabeth D. Hale was born in 1858. She was the daughter of (?) Hale and Elizabeth B. DeGraffenreid. Elizabeth D. Hale died in 1946. (?) Wright married Elizabeth D. Hale, daughter of (?) Hale and Elizabeth B. DeGraffenreid. Married Name Her married name was Whittle. Carrie Elvina Wright married (?) Whittle. Carrie Elvina Wright was born in 1894. She was the daughter of (?) Wright and Elizabeth D. Hale. Carrie Elvina Wright died in 1910. (?) Whittle married Carrie Elvina Wright, daughter of (?) Wright and Elizabeth D. Hale. Name Variation James Frank Whittle was also known as Frank. James Frank Whittle was born in 1909. He was the son of (?) Whittle and Carrie Elvina Wright. James Frank Whittle died in 1982. British Inventor. Not many people took Frank Whittle seriously when he introduced his plans to create a jet engine. As an officer in the Royal Air Force, he helped to change the face of military tactics. Henry Lee was born in 1691. He was the son of Richard Lee. Henry Lee died in 1747. Henry Lee was born in 1729. He was the son of Henry Lee. Henry Lee died in 1787. Married Name Her married name was Ellis. Susannah Lee married (?) Ellis. Susannah Lee was born in 1760. She was the daughter of Henry Lee. Susannah Lee died in 1799. (?) Ellis married Susannah Lee, daughter of Henry Lee. Ann Ellis married (?) Smith. Ann Ellis was born in 1788. She was the daughter of (?) Ellis and Susannah Lee. Ann Ellis died in 1871. (?) Smith married Ann Ellis, daughter of (?) Ellis and Susannah Lee. Married Name Her married name was Cather. Emily Ann Smith married (?) Cather. Emily Ann Smith was born in 1827. She was the daughter of (?) Smith and Ann Ellis. Emily Ann Smith died in 1900. (?) Cather married Emily Ann Smith, daughter of (?) Smith and Ann Ellis. Charles Fetique Cather was born in 1848. He was the son of (?) Cather and Emily Ann Smith. Charles Fetique Cather died in 1928. 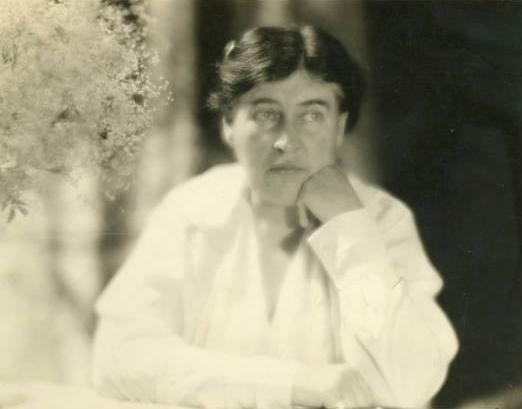 Willa Cather was born in 1873. She was the daughter of Charles Fetique Cather. Willa Cather died in 1947. American Author. Willa Cather has been called one of the most eminent American Authors. A muckraking journalist at first, she penned the famous My Antonia. Married Name Her married name was Sheldon. Anne Throckmorton married (?) Sheldon. Anne Throckmorton was born in 1541. She was the daughter of Robert Throckmorton and Muriel Berkeley. Anne Throckmorton died in 1603. (?) Sheldon married Anne Throckmorton, daughter of Robert Throckmorton and Muriel Berkeley. Married Name Her married name was Sulyard. Phillipe Sheldon married (?) Sulyard. Phillipe Sheldon was born in 1570. She was the daughter of (?) Sheldon and Anne Throckmorton. (?) Sulyard married Phillipe Sheldon, daughter of (?) Sheldon and Anne Throckmorton. Ralph Sulyard was born in 1612. He was the son of (?) Sulyard and Phillipe Sheldon. Ralph Sulyard died in 1658. Thomas Sulyard was born in 1660. He was the son of Ralph Sulyard. Married Name Her married name was Godin. Agnes Johanna Sulyard married (?) Godin. Agnes Johanna Sulyard was born in 1695. She was the daughter of Thomas Sulyard. Agnes Johanna Sulyard died in 1744. (?) Godin married Agnes Johanna Sulyard, daughter of Thomas Sulyard. Pieter Anthony Godin was born in 1726. He was the son of (?) Godin and Agnes Johanna Sulyard. Pieter Anthony Godin died in 1776. Married Name Her married name was Van Westreenen. Antoinette Charlotte Godin married (?) Van Westreenen. Antoinette Charlotte Godin was born in 1756. She was the daughter of Pieter Anthony Godin. Antoinette Charlotte Godin died in 1777. (?) Van Westreenen married Antoinette Charlotte Godin, daughter of Pieter Anthony Godin. Married Name Her married name was De Beaufort. Cornelia Anna Van Westreenen married (?) De Beaufort. Cornelia Anna Van Westreenen was born in 1777. She was the daughter of (?) Van Westreenen and Antoinette Charlotte Godin. Cornelia Anna Van Westreenen died in 1839.